The video game expert is dead. He died of gluttony. And from his ashes will rise new breeds of journalists: the specialist, the elite critic, and the business pundit. Covering every video game is no longer possible. The old guard of gaming press is gone. 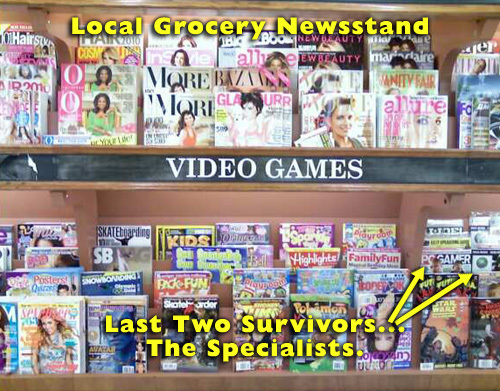 Long-standing gaming magazines like GamePro (under the direction of John Davison) and EGM (which Steve Harris will soon relaunch) are finding their new identities in what they decline to cover. Journalists simply have too much to report on. Focus will be the new identity factor for every gaming news outlet — online or print. In years gone by, even a normal fan of video games could be an expert. For a while, I felt I was. This new narrative medium has existed in a commercially available form for just over thirty years. I have existed for roughly the same amount of time. For gamers like me who started early with Atari 2600 and PC games, it was possible to own and play everything that was significant and relevant. For industry news outlets, it was possible to cover the complete breadth of the meaningful releases, too. 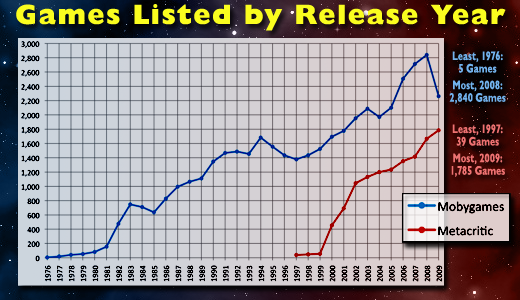 But according to listings at MobyGames, 2,840 games were released in 2008. The folks at gaming sites like MobyGames have devoted themselves to comprehensively listing all titles, and they are essentially databases. Even they make choices about what to exclude — MobyGames only includes commercially released games. The sheer amount of product ensures that no source can truly be definitive. The same thing has happened to other media and their related reportage. At the time of my birth, the three national television networks and PBS were available to watch. In the interceding time, TV has exploded into an array of choices — much like video games. TV Guide once published nearly 140 area-specific editions to provide local and cable television program listings. 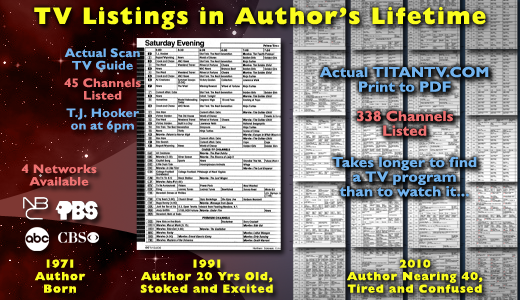 In 2005 the magazine finally yielded and moved to a digest-sized format with only two editions for program listings. It also added more articles by specialists, critics, and industry pundits. The first of our new breed of journalists, the specialists, will succeed for as long as their target niche does. World of Warcraft magazine will be successful in reaching its audience for as long as the game is popular. The specialists and their audiences have outgrown the "column on the back page." They are now their own outlets. Many of them will continue to work in their niche long after the popularity is gone and will provide their expertise for free in outlets they create and maintain themselves. The second group, the elite critics, must embrace their new function. Will the new EGM and the new GamePro be successful in reaching a broad audience in the current, more infinitely varied gaming scene? The word critic comes from the Greek word kritikós, meaning "able to discern." Therefore, these publications will be less about covering everything, and more and more about telling their audience what is worthy of attention. Independent game coverage stands as a challenge on the forefront of elite criticism — much like independent film coverage does for elite movie criticism. This scene presents interesting challenges for reporting as it represents the bleeding edge of gameplay innovation. The problem is that these news-worthy gems are difficult to find in a sea of low-rent productions. The staff at GamePro have already shown signs of understanding this. As in movie and TV criticism, the distance between what the elite critic recommends and what the audiences chooses to buy will grow. The critic will recommend, the unwashed masses will disagree, and the perception of critics as cultural elitists will grow. In this gulf of disagreement will arise the third of the new breed, the business pundit, who remains markedly unconcerned with offering discerning opinions to the public. He seeks only to accurately predict their buying habits. Since he's primarily concerned with consumerism, the business pundit will not be required to actually experience games at all. Finally, he will be paid more than the other two new breeds of journalists combined. It is an exciting time for the gaming and game journalism industries. But for me, it is also a bit of a sad time: The diversification of knowledge and opinions about video games is becoming so large and stratified that it is impossible to take it all in. Ironically, just as the pool of hopeful game journalists begins to explode, the writers themselves will find their prospective audiences narrowing. Which of the new breed will you become?